Institute of Rural Management Anand, also known as IRMA Anand established in 1979 is listed amongst one of top institutes in India that offer programs in Rural Management. It was founded at the initiative of the NDDB (National Dairy Development Board) and the support of government of India, government of Gujarat and Swiss Development Co-operation. It aims to promote sustainable, ecologically-friendly, and equitable socio-economic development of rural people through professional management. 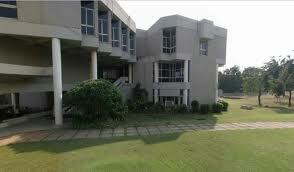 Two year Post Graduation in Rural Management is the flagship course at IRMA, Anand. The institute campus is fully residential and equipped with student hostels, mess, lecture halls, seminar rooms, library, faculty and administrative offices, auditorium, executive training and development centre, faculty and staff housing, dispensary, and other support facilities. A co-operative store on the campus is open in the evenings six days a week and provides all the items required by the residents on the campus. It is stocked with provisions and stationery. Average salary offered is 7.09 L p.a. and highest salary offered is 13.05 L p.a. Are you Interested in IRMA Anand.